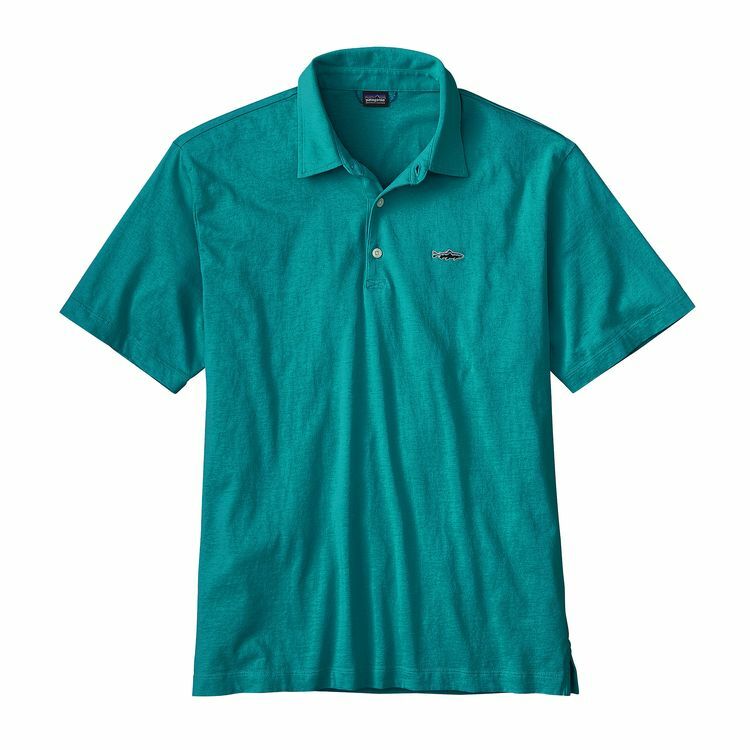 "A supercomfortable 100% organic cotton jersey polo for the field or the office, featuring our classic Fitz Roy Trout on the left chest. This supercomfortable, relaxed-fit polo shirt features a classic three-button front placket and is made from soft, enzyme-washed 100% organic cotton jersey for maximum comfort. A small Fitz Roy Trout logo is featured on the left chest.